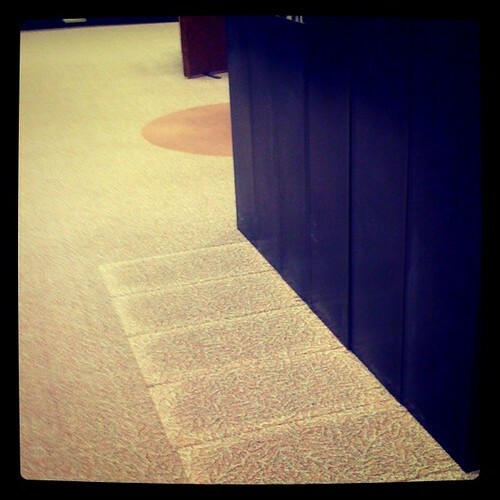 Those rectangles in the carpet represent microfiche leaving the building. Buh-bye. Change happens. Sometimes, it’s hard and scary and things that we’ve known the shape and size of for decades become something we don’t recognize. But sometimes an outdated format that no one ever really loved is duplicated by a new service, and as a result we can make more study space for our students. It’s not all bad. It’s just always a challenge. YAY!!! The printers just moved up a notch on the list of crap we will one day get rid of!